As you know, Supsystic has recently issued a new plugin – WooCommerce Product Table WordPress plugin. 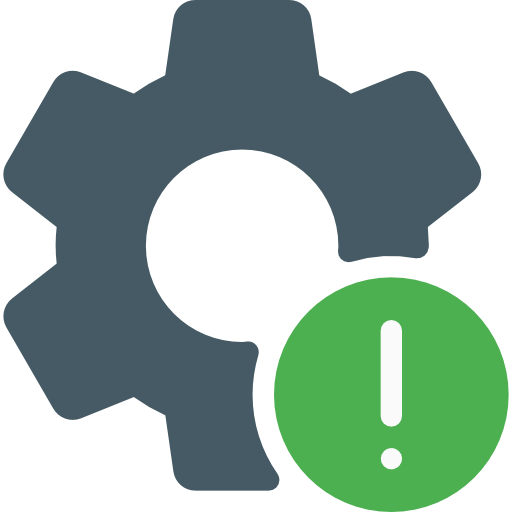 That means that our users can add an item’s catalog to the website from the WooCommerce, apply price lists or order forms. But there are a lot of details, which weren’t first made clear and can confuse some developers. One of such things is WooCommerce products. So, today we will pay attention to the all pitfalls related to this topic. For more details, read our blog post. To simplify all the process, we provide you with some summary of what we will do and what you need to be installed before. Supsystic WooCommerce Product Table WordPress plugin. Import products base from a CSV file – 2. You can insert media files, like image or audio, pricing table, and so on. Also, if you switch to the Text mode, you can edit HTML and CSS code. Let’s look at each more closely. Downloadable: give access to a file upon purchase. Grouped product. It consists of simple products, which can be purchased individually. For example, iPhone could be a grouped product as there are 32GB, 64GB variations of that same product parent. External/Affiliate product. These products can display on your site but they are sold on another place. You have just put a special link. Variable product. These products have a lot of options, different SKU or prices. For example, a T-shirt which is available in different size and colors. We selected a Simple product and move on to the next step. Here you can set the Regular price and the Sale price. Also, if you click the Schedule button, you can insert the sale prices dates. Sold individually: enable this to only allow one of this item to be bought in a single order. Here you can enter the weight (in kg), dimensions (in cm), and shipping class. All these details are essential for the product’s transportation. In order you want to sell more goods, fill out the Upsells and Cross-sells. Upsells are products that you will recommend users to buy instead of the viewed item. Cross-sells products will be promoted in the cart, based on the current product. All your attributes will be displayed here. If you need to create them, go to Products -> Attributes. In this tab, you can insert the Purchase note, Menu order, and Enable or Diable reviews. There is the last block in a customizing our product. Write here a short description. Now let’s move on the right menu. 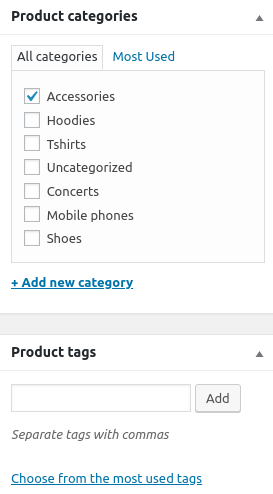 Here you should choose a product category, insert product tags, and images. So, there you have it! You have just successfully added your products in WooCommerce. 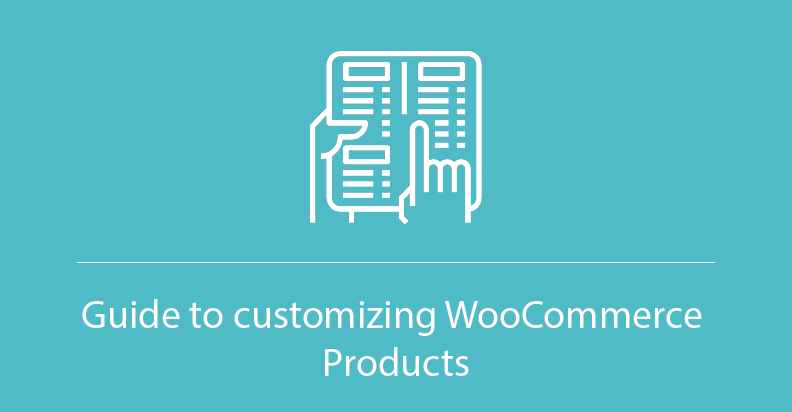 Now you can use them to create a WooCommerce product table.